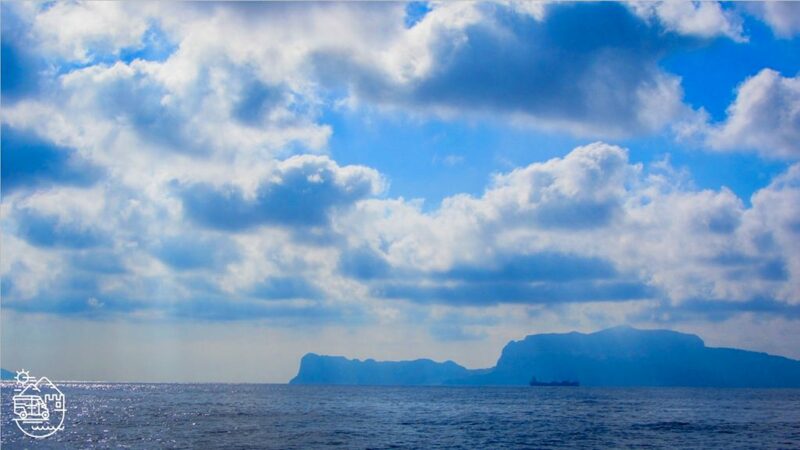 This tour allows visitors to have a overall view of the island, including both towns of Capri and Anacapri. The tour starts from Marina Grande port in Capri (It is possible to arrange a different meeting point, if needed) and by private taxi we reach the center of Capri, visiting the famous “Piazzetta” with its bars and the panoramic terrace from where you can take amazing pictures! We spend around 2 hours in Capri, walking along Via Vittorio Emanuele, passing the most famous shops, the “Grand Hotel Quisisana” and reaching the “Giardini di Augusto” (Augustus’ garden), a fantastic terrace from where you can enjoy the view to the Faraglioni rocks, Marina Piccola and the tangled “Via Krupp”, the famous twisting road completely carved into the rocks. After visiting the Giardini di Augustus, according to the time available, we can visit the close by Certosa di San Giacomo or can take a walk for 20 minutes to reach the panoramic point of Punta Tragara. Reach via Grotta Azzurra by taxi (the closest point to the Blue Grotto by road) and take the steps to the entrance of the grotto, from where we take the small oar boat to enter the cave (sea condition permitting; please note that it is very likely to queue for at least 30 minutes to the Grotta Azzura). In the late afternoon, our taxi drives us back to the port of Marina Grande. The tour includes private taxi, driver and English speaking guide for the day. The cost of the tour doesn’t include entrances to museums and attractions (Giardini di Augusto, Certosa San Giacomo, Grotta Azzurra, Mount Solaro, Villa San Michele), lunch or tips. The itinerary of the tours may change due to unforseen factors such as weather or traffic. Official tour guides are the only people authorized by the Italian government who are allowed to run tours legally after passing the regional exam and are then licensed as professional tour guides.